May 10, 2018 -- MRI can help predict which patients with prepsychotic symptoms will go on to develop full-blown psychosis by providing information about the folds of the brain's outer surface, according to a study published online April 25 in JAMA Psychiatry. The information can then be used to begin early intervention therapy with these patients, noted researchers from Western University and Lawson Health Research Institute in London, Ontario, Canada. Simplified representation of cortical folding in different brain regions. Image courtesy of University Psychiatric Clinics Basel. The researchers followed these patients for four years, tracking which ones developed psychotic disorders such as schizophrenia. Palaniyappan and colleagues found that the way the brain was folded, called gyrification, could predict who would develop psychosis with more than 80% accuracy. 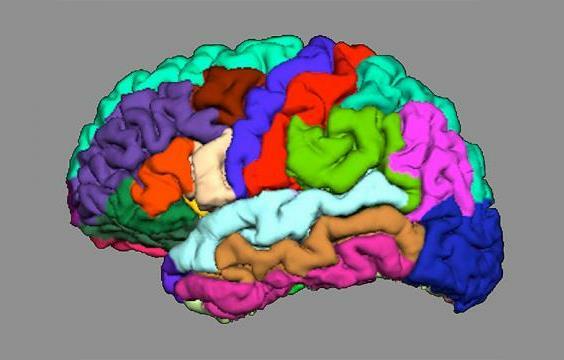 The brain's folding pattern is mostly established by the time a person is 2 years old, which suggests that psychotic illness is developmental rather than degenerative, the researchers concluded. "In search of the neural mechanisms that contribute to emerging psychosis, developmental processes are increasingly recognized to be crucial," they wrote.